Australia has been one of the centres of attractions among the leading quality education providers. It gives number of attractions at the same platform inclusive of natural world beauty, sporty environments, and safari and picturesque splendor with the universities which provide the best education and holding the credit of having the top universities throughout the world. 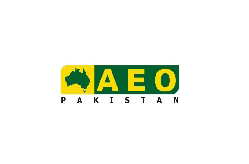 There are two educational counsels named AEO Australian Education Specialists and IELTS test centers in Pakistan who are being set to organize educational exhibition in the country twice a year which supports Pakistani students who are interested in studying in Australia giving them the feasible opportunities to excel there and ample piece of counseling as well. Provided with such concerns again in August AEO has been conducting an educational expo across the 6 vital cities in the country. It has been reported that more than 15 topper universities are the part of this expo giving the students a golden opportunity to study in high quality ranked worldwide universities. This chain of exposition was inaugurated from Lahore PC hotel which already has gathered a humongous number of students filled with fervor and high spirits. Such a commendable number of participation from the students exhibits the fact that eagerness of getting higher education has been still there irrespective of the situational malfunctioning in the state. Series of this expo also been declared by the authorities with the dates decided as 20th August at AEO Islamabad, then Karachi 23rd August Marriot Hotel , Multan 23rd August - Ramada Hotel, Faisalabad 24th August – Hotel One & lastly at Peshawar- PC Hotel on 24th August 2014. These exhibitions have invited the student community from all races and gender to come forth and start a step ahead to realize their dreams of studying in such high level universities mentioning that the entry in these educational trades fair is absolutely free of cost. His Excellency Peter Heyward being high commissioner of Australia also stated his supportive declaration for Australian Education Expo AEO with these words.